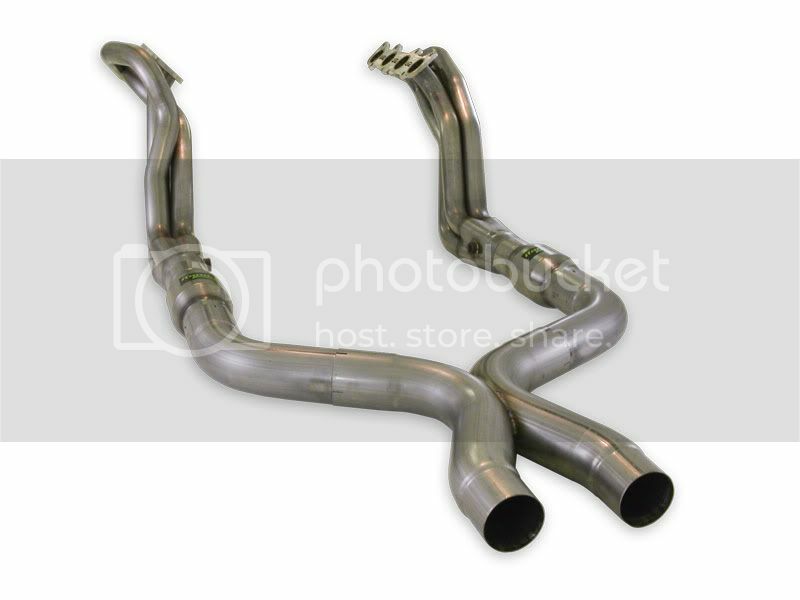 2011 Mustang GT headers with 1-7/8" primary tubes, 3" X-Pipe, 3" dia lead pipes and high flow catalytic converters that mate to the factory connection point. Tig welded 304 SS headers with 3/8" thick flanges and 3" dia slip fit collectors with merge spikes. This system replaces the factory manifolds, catalytic converters and X-Pipe with a superior performing lifetime guaranteed bolt-on system.